Logan Paul is a youtube creator who despite coming up against public backlash in 2018 has come back swinging. The internet went crazy after Logan Paul was spotted at the Flat Earth International Conference in Denver on November 15th publicly declaring his faith in the theory. And while some thought Logan was serious, others were calling B.S. Logan has just released a 50 minute long documentary, which shows Logan interviewing those who believe the flat earth theory and expressing his interest in traveling to Antarctica to visit the edge of the world. 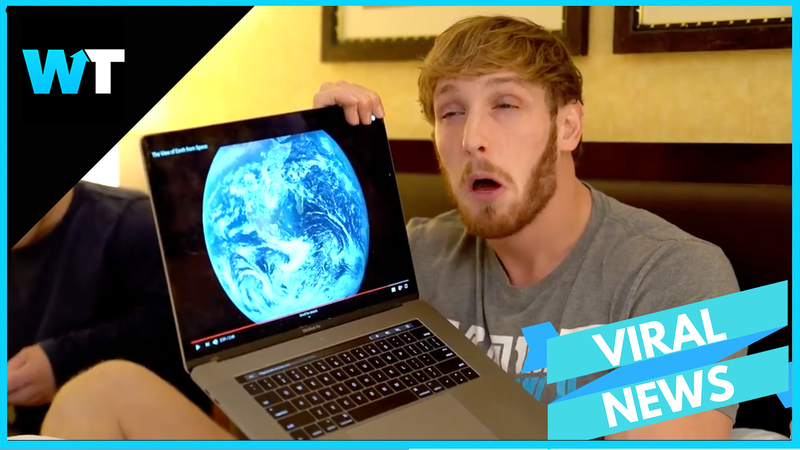 And while the Flat Earth Society might not be too happy with the parody, others are relieved that Logan Paul isn’t actually a believer. Because despite there being abundant scientific evidence and photographic proof of our Earth being a round planet, this subset of people strongly believe that the earth is flat. Conspiracy and pseudoscience channels have long been able to thrive under YouTube’s old content guidelines, and many of these videos were recommended by YouTube’s algorithm. In 2017, a study conducted by Asheley Landrum at Texas Tech University surveyed 30 attendees of that year’s Flat Earth International Conference, and found that 29 people credited YouTube videos to changing their views. The study also noted that most of the group previously watched conspiracy videos about 9/11, Sandy Hook, and whether NASA really went to the moon before YouTube’s algorithm recommended flat earth videos. But, YouTube has finally started cracking down on conspiracy videos. In January, Youtube announced they would begin reducing recommendations of borderline content and content that could misinform users in harmful ways. What do you think about Logan Paul’s doc? Do you think it will spread flat earth theory? Or help expose it? Let us know in the comments section.